Tell Your Friends About Mucklow’s Fine Jewelry To Earn FREE Jewelry & Perks! We are looking for people like you to spread the word about Mucklow’s Fine Jewelry. Do your friends love jewelry as much as you do? Would you be excited to tell them about our store? 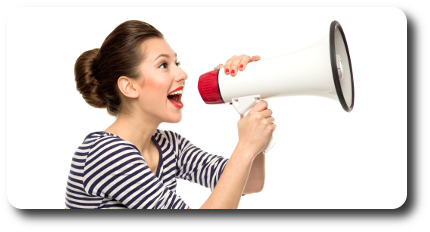 Why You Should Become A Brand Ambassador Today! – A FREE gift certificate to use in our store for jewelry and services. – Advanced notice of special events and designer sales. – Special “Brand Ambassador” discounts on select merchandise. – YOU determine the amount of your FREE jewelry gift certificate. Step One: All you have to do is have anyone over 18 years old with a valid photo ID come into the store and sign up on your Brand Ambassador page by providing their name, address, email address, and telephone number. They will also be added to our mailing list by signing up. Step Two: Once they sign up on your Brand Ambassador page in our store, they sign our guestbook under your tab with their name, signature, and date. This allows us to have a physical record that you can come drop by the store and check periodically to see how well you are doing at spreading the word or simply call our store manager at 770-486-3400. Step Three: Call our store at 770-486-3400 and speak to our store manager two of our business days before you want to have your gift certificate available. How Can I Earn A Bigger FREE Jewelry Gift Certificate? We are excited about giving you more FREE jewelry. The good news is that the amount is completely up to you! Bronze Level – Receive a $100 gift certificate by adding 5 people to your Brand Ambassador page in our store. Silver Level – Receive a $250 gift certificate by adding 6 to 10 people to your page. Gold Level – Receive a $500 gift certificate by adding 11 to 15 people to your page. Platinum Level – Receive a $750 gift certificate by adding 16 to 20 people to your page. Diamond Level – Receive a $1,000 gift certificate by adding 21 to 25 people to your page. *** If you add more than 25 people to your Brand Ambassador page in a calendar year we will develop a special level just for you! What are the dates the Brand Ambassador Program is open? The program is set up on a calendar basis starting January 15th and running through October 31st. When can I sign up to be a Brand Ambassador? We accept Brand Ambassador entry forms anytime from January 15th through October 30th in a calendar year. Does the program reset each year? Yes. The number of people on your Brand Ambassador page resets to zero on December 31st except the Diamond Level (see store manager for details concerning that level). Can I be a Brand Ambassador every year? Absolutely! All you have to do is resubmit your application between January 15th and October 30th of that year. When can I pick up my FREE gift certificate for this year? Anytime between January 15th and December 31st during regular business hours. We do require you to call the store at 770-486-3400 and speak to the store manager at least two of our business days before you come in to pick up your gift certificate so we can have it ready for you. Can one person sign up for more than one Brand Ambassador Program? No. Only one person over 18 years old with valid photo ID, per Brand Ambassador program per year. In the event of a discrepancy, or attempt to sign up for more than one program, we will delete that individual from every list that year. Why do you have the people signing up in the store also sign the guestbook? The guestbook is a backup measure that allows the Brand Ambassador to physically see the people who signed up and to ensure that only those who have come into the store get counted for the program. Can someone sign up for my Brand Ambassador Program online? No. Only those who physically come into the store, fill out the form online, and actually sign the guest book under your Brand Ambassador program will be counted. Those who sign up online will not be counted for this program. What if I can’t pick up my gift certificate before December 31st? Please contact our store manager at 770-486-3400 before Dec 31st. Can someone else pick up my gift certificate for me? No. Only the Brand Ambassador can pick up their gift certificate. Spouses, children of, relatives of, significant others of, or friends of the Brand Ambassador cannot pick up the certificate. Only the Brand Ambassador with proper photo ID can pick up the gift certificate. Can I pick up my gift certificate and donate it to a charity? Absolutely, once you have physically picked up your gift certificate you can donate it to a charity or give to another individual. Can I substitute the gift certificate for cash? No. The gift certificate is for jewelry, and services at Mucklow’s Fine Jewelry and cannot be redeemed for cash. Can anyone sign up to be a Brand Ambassador? No. Only those who are 18 years of age or older with a valid photo ID and not a current employee or vendor of Mucklow’s Fine Jewelry. Employees of Mucklow’s Fine Jewelry, their spouses, children or those living under their roof are not eligible to participate. Those employees/vendors who violate the spirit of this program as deemed by management will face disciplinary action. Could this program be subject to change? Yes. This program can be altered, amended, or terminated by the management of Mucklow’s Fine Jewelry at any time without advance notice.